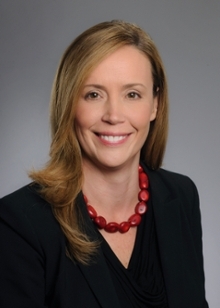 Heather Dexter has been named chief executive officer of Emory Saint Joseph's Hospital, effective October 23, 2015. Dexter has been Chief Operating Officer of Emory Saint Joseph's since 2011. Dexter began her career at Saint Joseph's Hospital in 1998 as an administrative resident and steadily progressed in responsibilities and leadership. Prior to her COO role, she served as interim director in both Human Resources and Radiology; division director in Clinical Services; vice president of Planning, Development and Allied Health; and vice president of Surgical Services and Planning. Dexter also served as executive project manager during the Joint Operating Company process between Saint Joseph's Hospital and Emory Healthcare. Under her leadership Emory Saint Joseph's growth includes new programs and physicians, development of patient-focused initiatives, continued expansion with the construction of an Orthopedic Joint and Spine Center and the completion of several successful accreditation and certification surveys. "Heather is an inspiring leader whose vision and expertise have greatly contributed to the success of Emory Saint Joseph's," says Emory Healthcare President Dane Peterson. "In her new role, Heather's extensive knowledge of both the health care landscape and Emory Saint Joseph's is a tremendous asset as she continues to serve our patients, their families, our staff and physicians." Dexter holds an MBA from the University of Alabama and a Master of Science in Health Administration from the University of Alabama. Additionally, she completed a health care delivery executive education program at Harvard Business School. Emory Saint Joseph's Hospital, founded by the Sisters of Mercy in 1880, is Atlanta's longest serving hospital. The 410-bed acute-care hospital is recognized as one of the leading specialty-referral hospitals in the Southeast. As one of only three hospitals in the world to earn a fifth consecutive Magnet designation for nursing excellence from the American Nurses Credentialing Center, Emory Saint Joseph's is also a leading provider of progressive and innovative medical care in a range of specialties from oncology and orthopedics to cardiology.